It's gotten to that stage where most of my friends have been tying the knot for years now, and it's an epidemic that may never stop. But I cannot be happier, I get to be a guest at wonderful weddings and share memories with close friends on what is one of the most important life events that they might have. I also get to make new clothes and bury my head into Pinterest to find perfect outfit ideas for myself and my friends who ask for help. And of course, if I'm close to the bride (or groom) then I'm slightly more involved if they'd like me to be, and will be there to brainstorm, plan creatives and curate secret Pinterest boards with photographers and friends. But every once in a while comes a moment where there's time for DIY. It could be a text arrangement for an invite or a floral arrangement or a party. 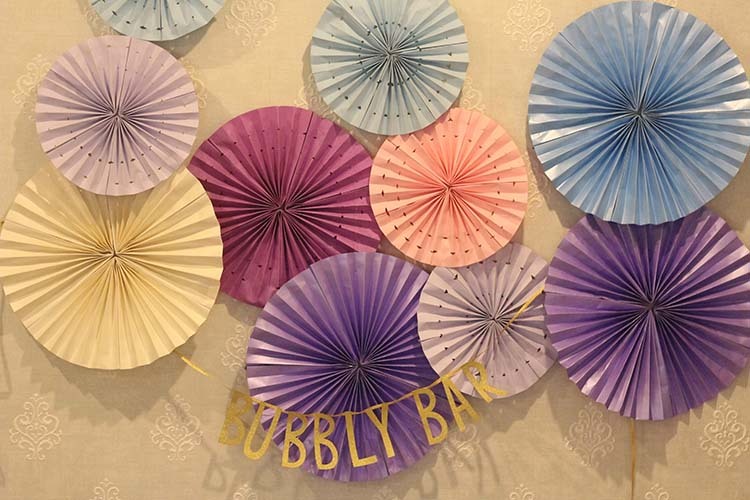 For my friend's upcoming wedding, it was the bridal shower that was planned out of scratch by a bunch of us and was a cute little affair. So cute, that it would a sin not to share it and the way we executed it. First thing that comes to mind is the decor and most importantly, the venue. It definitely is the foundation for the kind of shower you wish to throw, whether it's a themed one or an outdoor simple sit down celebration. Based on that, it's then easier to pick catering and other aspects for the party. Ours was in the bride to be's house, specifically in her living room. We already figured out which areas we were going to decorate and where to place and display the food. I was in touch with a common friend who was the actual brains behind a major part of the party and we secretly exchanged ideas as we wanted to surprise the bride to be with out final ideas. 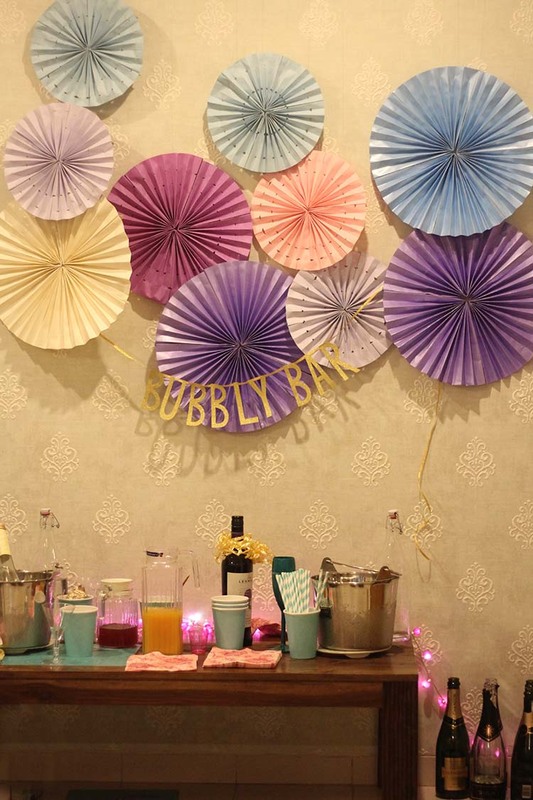 Our first discussed idea was probably the "bubbly bar" that we spotted on Pinterest. It was an instant love and she asked me if I could replicate the idea. Usually my mother is the crafty one and is great with paper, but since she was out of the country, I had to actually do it myself! It took a couple of samples till I perfected the pinwheel pattern. It's easy and a great DIY. Another thing we wanted displayed was the actual date of the wedding, so it made sense to group that with our floral arrangement and add some lilies to the mix as well. 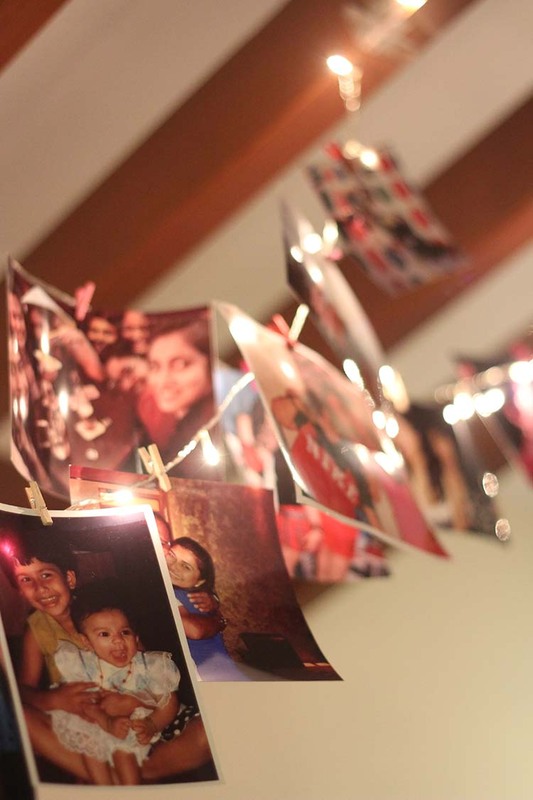 Lastly we arranged a tiny corner with and draped fairy lights to display pictures. 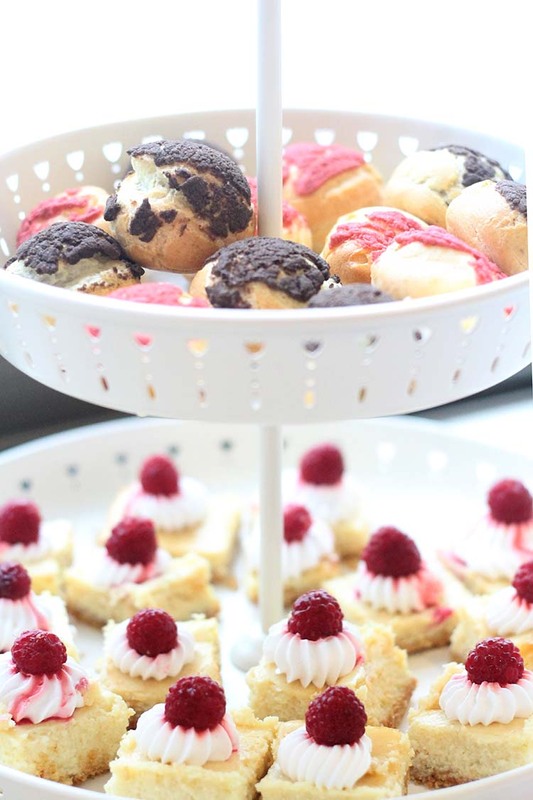 I thought planning the catering would be a piece of cake (pun not intended) but I was wrong. A small brainstorming session led to constant confusion; the debate being how many croissants needed to be ordered for around 18 young women. 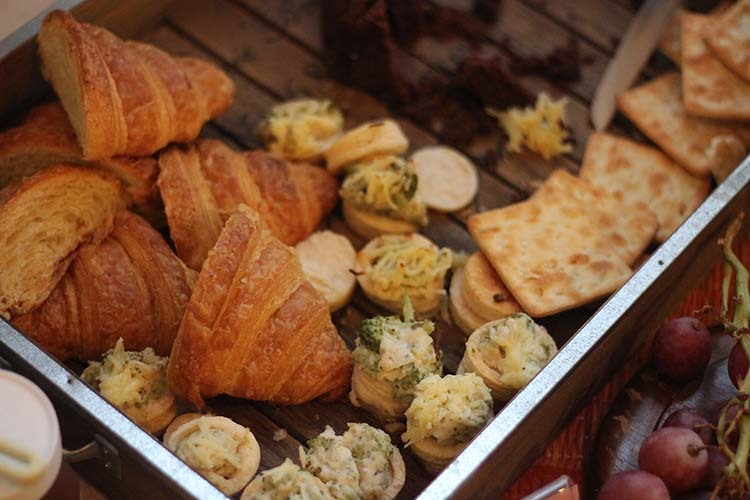 While things like chicken sandwiches from Candies were ordered as well as some cake from Theobroma, almost everything else was prepared by someone from the group. 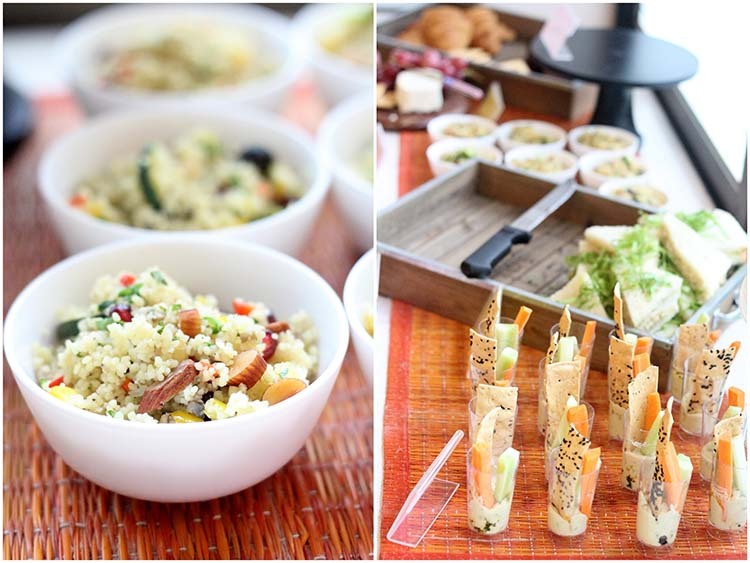 We had couscous, scrambled eggs fried in truffle oil for the croissants as well as hummus as well as delectable items like choux pastry, lemon tart and even a banana banoffee-like concoction, all made by friends. 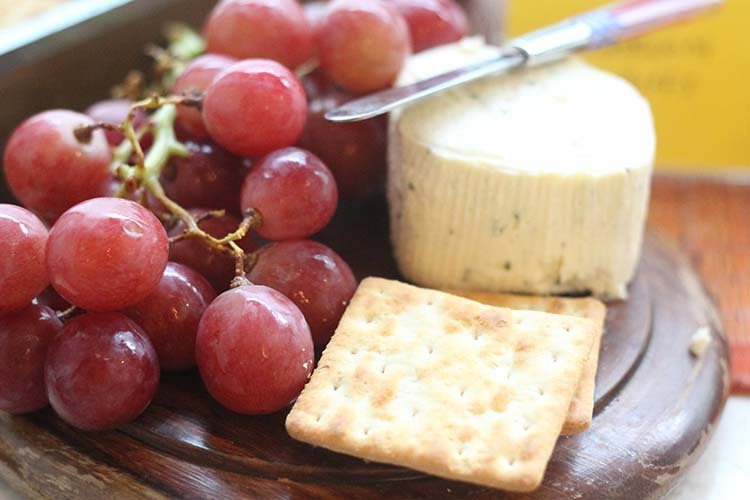 And there were crackers, cheese, fruit and Nutella for the croissants; all that seemed very excessive and we had a lot of leftovers too. We were on a bit of an edge as that day was also a dry day so all alcohol stores would be shut and there would be no way we could just pop in to stock up if we fell short. So we had to hoard up. Since we planned a champagne party, that was all we needed to stock up on. Another debate ensured as we tried to figure out how many bottles we would need. 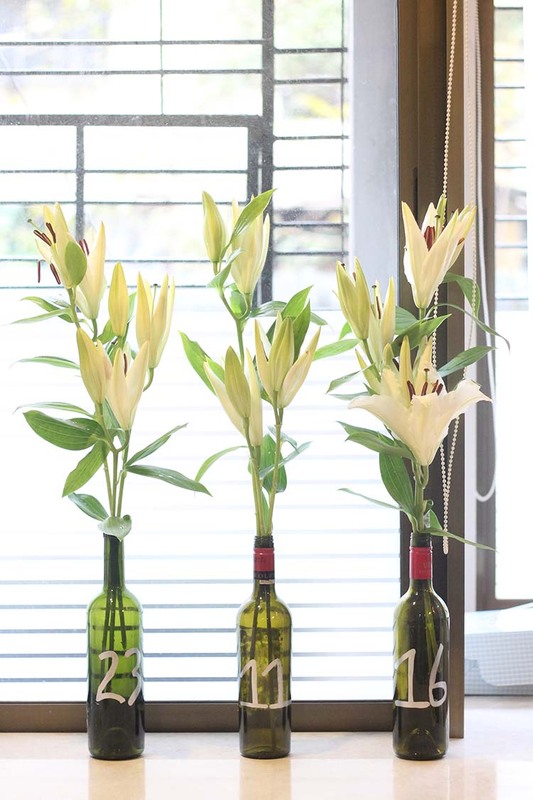 It's impossible to predict how many glasses (or bottles) each guest might consume! Champagne can also be a pricey affair, depending on make. 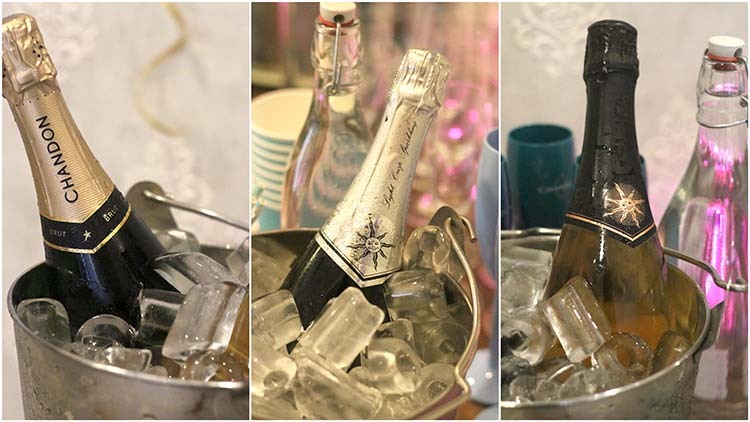 We finally picked an assortment of different ranges in, from Sula Seco to a few bottles of Sula Brut and even a couple of pricier Chandon ones as well as two bottles of sparkling Dia wine, at my insistence since I have a soft corner for them. Of course the champagne bar wasn't complete without mixers. 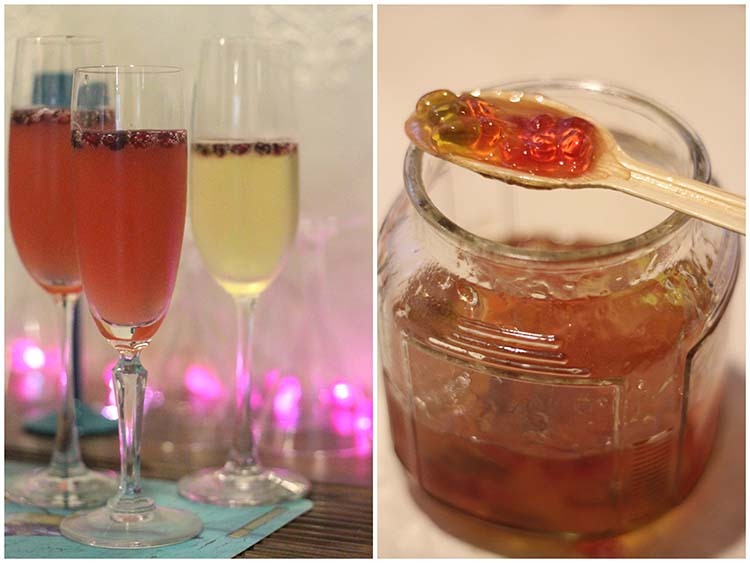 We had jars of orange and pomegranate juice to mimosa-up our drinks as well as pomegranate crystals for garnish. 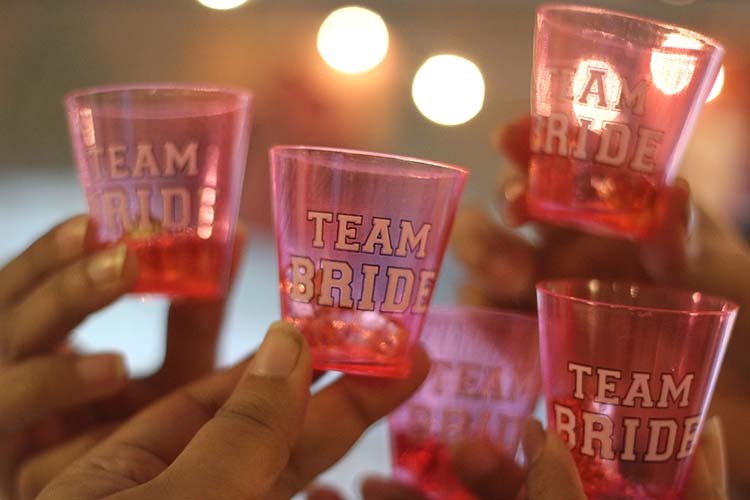 We also infused gummy bears in tequila which was then used to welcome each guest, all of who were handed bright pink "Team Bride" shot glasses with a few drunk gummy bears in them. Of course no bridal shower would be complete with reminiscing about past days and sharing fun moments. 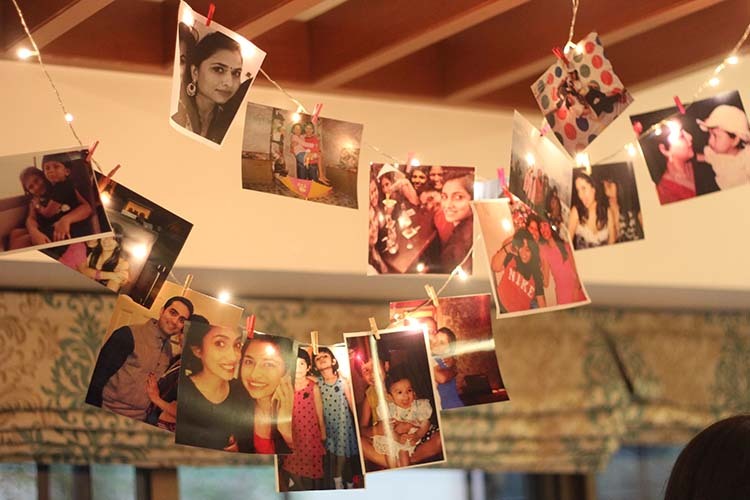 We incorporated this feature into our decor and asked each guest to bring along a couple of pictures of themselves with the bride to be, which were then clipped on to our fairy lights display. 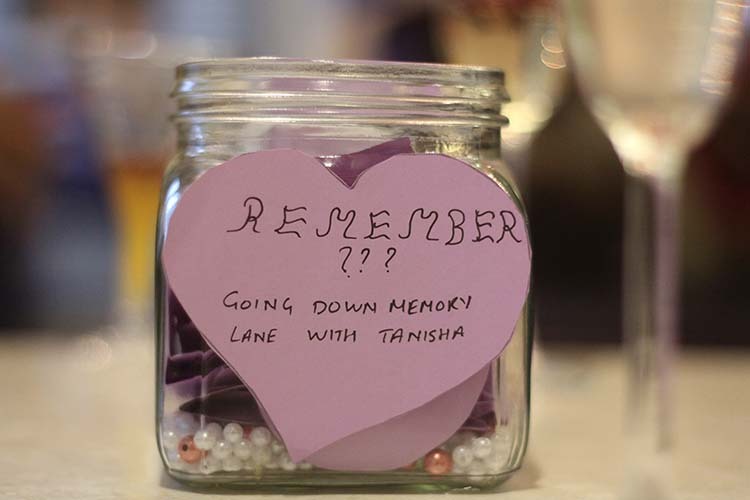 There was also a tiny glass jar where everyone was encouraged to write down a funny moment or memory that took place with the bride to be, without revealing their identities. Then the bride would have to read each memory from the jar and guess who wrote what. It turned out to be a fun game and the bride was given various forfeits for guessing incorrectly, most of which included us stuffing her face with our tequila gummy bears. Talking about games, bachelorettes and bridal showers are known for explicit games. We tried to keep it clean. Key word being "tried". 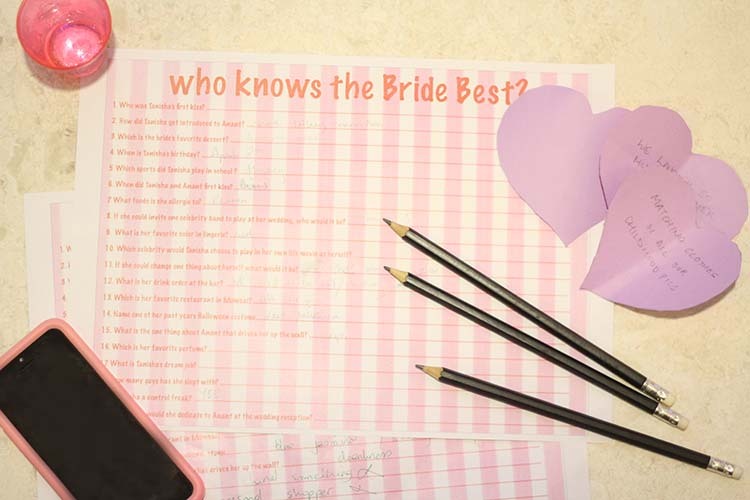 We had a "Who knows the bride best" questionnaire game where everyone including the bride to be answered the same set of questions and then after a timed period, the answers were discussed and the bride to be's answers were weighed in. Another game we planned was a questionnaire addressed only to the bride to be where she was quizzed about the groom to be (he was in on it and had provided his answers previously) where questions ranged from his favourite sports team and food to his choice of underwear brands. Taking a break from the questionnaires, we also had a pin the tail game minus the tails, but with red pouty lips and banana cut outs as well as a cut out of a ridiculously good looking shirtless dude. I'll admit, getting the guy as well as the lips/bananas printed out was a bit of an embarrassing situation. I tried to ignore all the looks that came my way. One of the last games we played was Bridal Taboo that was specifically created by a friend and was handwritten and had words like bouquet toss, roka, photographer, trousseau and aisle among a few others to be guessed. None of our games were played with competition in mind and were just for fun, hence there were no winners and therefore no gifts. But we had parting gifts for each guest. After a mini debate, excessive Pinterest research and a few test batches, we settled on homemade coffee lip scrub that I made the night before. 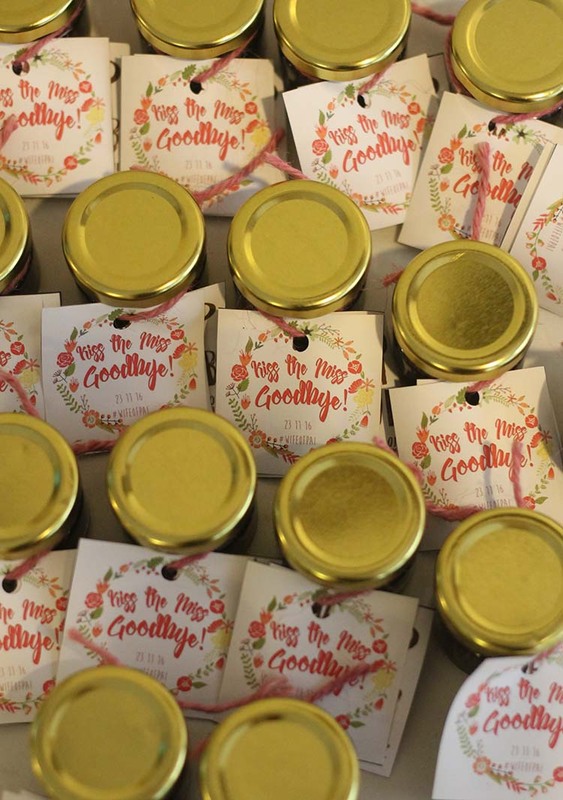 We found cute glass jars and designed and printed out tags for it. It turned out to be pretty great. Your all dress type are goods . Thank you to shearing this post .